So here’s a little scenario for you. You’re driving along the motorway in your little car, and ahead of you is a lorry which is apparently from a cheese company. Let’s call them ‘Cheddar Gorgeous’ because we like a pun. Suddenly the truck starts to jack-knife. The trailer’s rear doors swing open! Cheeses start bouncing all over the motorway lanes! There’s cheese everywhere! Eventually the truck slows to a halt, likewise the traffic behind it, leading to a huge traffic jam and a motorway covered with cheese. It becomes apparent that the lorry driver had fallen asleep at the wheel at the end of a crazily long stint at the wheel. It’s a miracle nobody was hurt, although thousands of pounds’ worth of cheese was damaged. What a palaver! Wait till everybody hears about this! 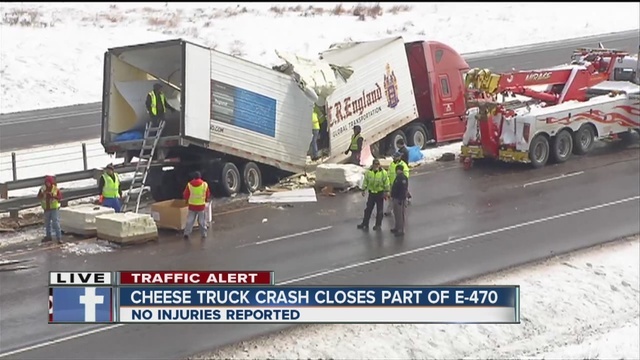 After all, it’s not every day you witness a cheese truck shedding its load. A great little anecdote for the pub. Of course, a good PR person of the type you would find at Small Man Media, would not see the story this way. In fact, a good PR person would see this little scenario as a whole load of stories and angles, interlinking to create the whole. They would think of the potential coverage, and start salivating. Local news is a given, because any local newspaper would kill for a bizarre story like this – indeed, with a photo of the cheese-strewn motorway, you’d probably be looking at the front page (suggested headline: ‘CHEESED OFF!’). An image that bizarre, in fact, you could reasonably expect to graduate to national newspaper level, which is why you made sure you got plenty of photographs of the ‘cheese slick’. You’d also reasonably expect the story to make it to local TV news and radio, as it is heavily image-driven and, of course, major traffic disruption is always newsworthy – especially if it involves errant dairy products. That’s all you could get from the story though, right? What this rather convoluted [you can say that again – Ben and Rach] little tale illustrates is that there is always more to a story than ‘just a bunch of stuff that happened’. The closer you look at something, whether that be a brand or an event or a personality or a cheese lorry mishap, the more the angles present themselves, ripe and ready to be pursued. There are always, always, always more angles than the naked eye can perceive, and if you study something long enough, they will become apparent. And THAT, ladies and gentlemen, is what maketh a good PR. 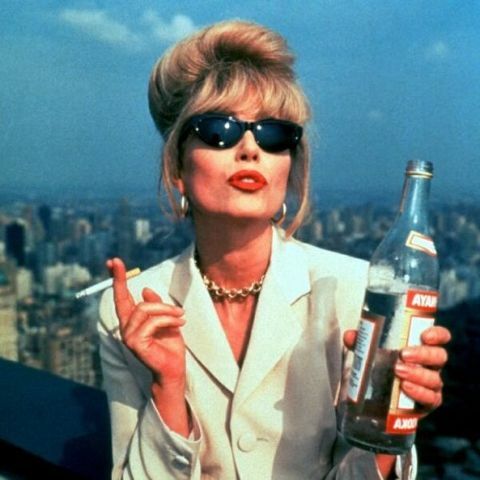 See, there are some people out there, dang their hides, who seem to think that PR is all champers at the desk and parties, what you might call ‘the Absolutely Fabulous effect’, with very little actual work. Some people think that PR is an unnecessary link between source and journalist and that they’d be just fine without us. The fools! The reality is that we at Small Man like to perform a role that most would say is pretty much priceless, that of making life as easy as possible for everybody with whom we work. In a nutshell, we worry so that our clients and connections don’t have to. There’s nothing wrong with worrying if you do it creatively, you see. It gives rise to soul-searching questions like: Have we covered all the angles (it’s ALWAYS about the angles, y’all!) here? Has every last relevant media outlet been kept very much in the loop? If a cheeky journalist wanted to do such a thing, could he take this press release and effectively drop it onto his page as is, so faultless is its spelling and grammar? Have we ensured that the transitional process from client to media outlet is as smooth and seamless as it can possibly be? Of course we have. We are Small Man Media. That is what we do. If you want to use Small Man Media’s angle-spotting magic and turn it to your brand’s advantage, drop us a line or pop in for coffee and doughnuts. We’re at Twitter @smallmanmedia and on Facebook at facebook.com/smallmanmedia but, let’s face it, we had you at ‘doughnuts’, didn’t we? This blog was composed by our Writer Monkey Pete. There he is, look.